Born: 1891, Bury St. Edmunds, Suffolk. Died: 17th July 1916; age 25; Died of Wounds. Relatives Notified & Address: Husband of Lucy Elsey, of ‘Garth’, 9, Constitution Hill, Ipswich. 1891 Chalk Lane, Bury St. Edmunds, Suffolk. Henry was 2 months old and living with his parents & siblings. John Elsey, 28, a Steam Engine – Fitter, born Thetford, Norfolk. Ellen Harriet Elsey (nee Rogers), 24, born Pakenham, Suffolk. William John Elsey, 5, born Bury St. Edmunds. Florence May Elsey, 3, born Bury St. Edmunds. Elizabeth Ellen Elsey, 2, born Bury St. Edmunds. 1901 34, Chalk Lane, Bury St. Edmunds, Suffolk. Henry was 10 years old and living with his parents & siblings. John, 38, a Fitter – Iron. William, 15, a Fitter – Iron. Alice Maud Elsey, 8, born Bury St. Edmunds. Thomas Edward Elsey, 6, born Bury St. Edmunds. Emma Elsey, 4, born Bury St. Edmunds. James Arthur Elsey, 2, born Bury St. Edmunds. John Ernest Elsey, 2, born Bury St. Edmunds. 1911 34, Chalk Lane, Bury St. Edmunds, Suffolk. Henry was 20 years old and living with his mother, siblings & nephew. Ellen, 45, a Moulder – Iron Works. Alice, 18, a Launderess – Laundry. Thomas, 16, a Moulder – Iron Works. Ethel, 14, a Day Girl. Gladys Elsey, 9, born Bury St. Edmunds. Edith Mary Elsey, 4, born Bury St. Edmunds. Henry Arthur William Elsey, 3, born Bury St. Edmunds. In 1911, Henry’s father John, 48, was a Thrashing Machine Fitter. He was lodging at 54, Alston Road, Ipswich, the family home of 58 year old, Sarah Cook, a widow. Henry’s mother Ellen Harriet Elsey died, 1915, Ipswich. In 1915, Ipswich, Henry married Lucy Clutterham, born 1885, Great Barton, Suffolk. Henry is also remembered on the Orwell Works Memorial Ransomes Sims & Jefferies Ipswich. 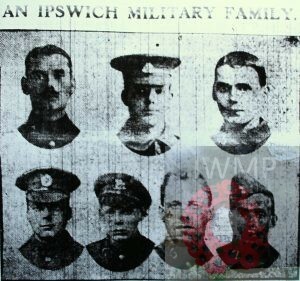 The above are the five sons and two sons-in-law of Mr. and Mrs John Elsey, of 157, Cavendish Street, Ipswich. Their names and regiments are: (1) Q.M.S. W.J.Elsey, R.A.M.C. ; (2) Pte. 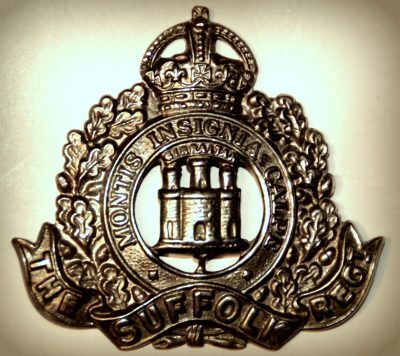 H.J.Elsey, Suffolk Regiment; (3) Pte. T.E. 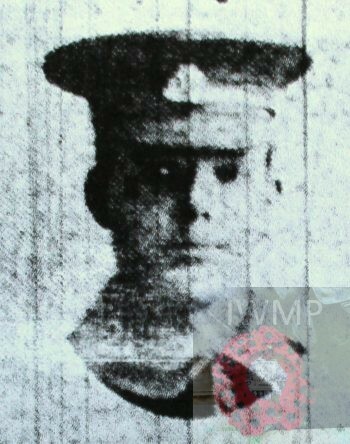 Elsey, Suffolk Regiment; (4) Sapper J.A. Elsey, Royal Engineers; (5) Pte.J.E. Elsey, Royal Sussex Regiment; (6) Corp. A.J. Goodall, Suffolk Regiment; (7) H. Border, R.A.F. They are all serving in France.